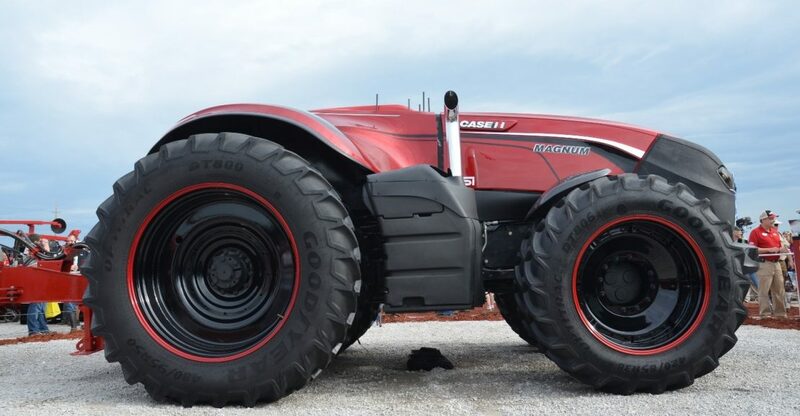 A host of exciting new career paths in agriculture and overcoming labour shortages that cost Australian farmers more than $150 million a year in lost productivity, are just two of the likely outcomes from an autonomous tractor like the concept vehicle recently unveiled by Case IH. Case IH and the Innovation Group of parent Company CNH Industrial developed the Case IH Autonomous Concept Vehicle (ACV) which was first demonstrated at the Farm Progress Show in the USA in late August. The concept vehicle is a cabless Case IH row crop tractor that can operate autonomously with a wide range of paddock implements. It can move around the farm on private roads and follows a pre-set route. An alert lets the operator know if inputs such as fuel, or fertiliser or seed are low, so they can plot a path to a re-fuelling point, where inputs are topped up manually. The refuelled ACV then returns to the last area worked, and resumes. Through the use of radar, lidar (light imaging, detection, and ranging) and onboard video cameras, the vehicle can sense stationary or moving obstacles in its path and will stop on its own until the operator, notified by audio and visual alerts, assigns a new path. The ACV can be controlled either via a desktop computer or a portable handheld tablet. The main benefits of autonomous technology are being able to use labour in value-added, rather than low-skill, tasks; for the possibility to work 24 hours with no variation in productivity; and options to overcome skilled labour shortages during critical times such as planting. *Higher education and skills training to support agriculture and agribusiness in Australia, June 2012.